Now that she is safely interred, and all the hoopla over her life and so called achievements–‘she did not just lead us, she saved us’ quoth Prime Minister Cameron, is subsiding; we could all go home. Except that the ghost of Mrs. Thatcher and her extreme right wing agenda, lives on. And on. It is a simple agenda by a woman who was incapable of thinking in shades of grey; it was all black and white: regulated markets-bad, big government and social safety nets equally so and unions, well, they were responsible for all economic woes, period. What with the ongoing, never ending fall out from the 2008 economic crash, the long term result of Thatcher’s and conservatives’ economic agenda, one would think that the left would seize the moment and put all that crap where it belongs. In the dustbins of history. But no. Thatcher’s destructive ideas about a fairy tale world of riches for all good shareholders and maybe a few plebs, lives on. Conservatives are not sorry that their ideas brought us all to the brink of collapse; on the contrary, they are more voluble and self righteous than ever. A worthy mouthpiece for the discredited, amoral ideas of the capitalist elite is surely Kevin O’Leary, who has become so predictable in his untiring slagging of unions and anything that might get in the way of profits for his darling shareholders that he might as well be called Mr. Thatcher. Other politicians worthy of the title are Reagon, Bush Junior, Mulroney, even Clinton and lately, Obama. They all believe in small government, budget cuts to social programs and deregulated everything, a la Milton Friedman. 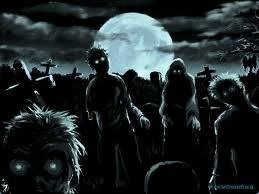 Mrs. Thatcher’s army of Zombie politicians and bad economics is alive and well and on my TV. I want them gone, and replaced by people who cannot be corrupted by the siren songs of modern casino capitalism. I want something that could be called a new beginning in a different language, a humane language that speaks to me and mine. ‘Although British companies have long sold arms, legally and illegally, to the world’s leading tyrannies… it was Margaret Thatcher who brought a crusading zeal to the task of arming much of the world. It’s time for an organized, energized and self righteous attack from those who see reality without the distortions of Thatcherism. I suspect that’s a lot more people than the corporate media want to admit . 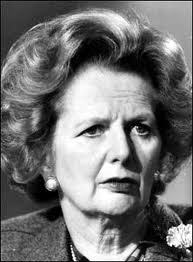 Let’s bury not just Mrs. Thatcher but all those who espouse her destructive and inhuman agenda. Let’s bury Thatcherism, once and for all. Let’s get our moral compass back. Yes yes and yes! As soon as we realize that we as women have the other puzzle piece , we can collaborate with our male counterparts to finish the glorious puzzle that could be our new world.